Being a truck driver is hard, but being a broke truck driver is even harder. This is why many have started to look into how to get free money online. One thing that doesn’t have to be difficult is saving money. Follow these 14 simple money saving tips for truckers if you’re trying to lower your trucking expenses and keep more of your hard-earned cash in your bank account. This seems like a no-brainer, but it’s on the top of the list for a reason. Creating a trucking budget is your biggest asset when it comes to saving money on the road. It does take some work to get your budget started – estimating how much money you are going to spend monthly, weekly, etc. is harder than it sounds. But once that step is done, you’re in the clear. Just log how much money you spent out of your allotted budget each time you purchase something. You may find it too hard to keep on top of things like loan repayments if you don’t budget. If you have multiple debts like this then you might find it to be of use to you to visit debtconsolidation.co to make payments easier. Let’s use food for an example. Say you decide you’re going to give yourself a $150 budget for fast food per month. You log when you spend money eating at drive-throughs and check it weekly. Halfway through the month, you notice you spent over half of your fast food allotment. From there, you decide to start planning on cooking meals in your truck so you don’t go over your budget. Not physically seeing where you spend your money makes it more difficult to keep track of how you’re spending it. By keeping a budget, you can easily lower your trucking expenses. If you want to start budgeting, but don’t know where to start, check out this pre-created income and expense worksheet or this make-your-own-budget website. Gas stations are a haven of resources for truckers. Lower your trucking expenses by taking advantage of everything they have to offer. Take a shower, fill up your water bottle, indulge in an inexpensive cup of joe. If they have a lounge, connect to their free WIFI and give your family a call. Check your emails and revisit your trucking budget. If you are at a rest stop or station that offers a fitness station, work out a bit. Do your laundry if there is a laundromat. There are tons of novelty rest stops across the United States that offer unique entertainment and amenities, so don’t be afraid to scope them out! Buying and preparing your own meals is the number one way to save money as a truck driver. Think about it this way — An average meal at a fast food chain restaurant is between $5 and $7. If you eat out twice a day for a week, you’ve already spent close to $100. Do that for a year and it’ll cost you anywhere between $3,000 and $5,000. That’s a hefty chunk of change. Eating at fast food chains and restaurants may seem like a necessary evil when driving cross country, but they aren’t. Truckers can easily save money on the road by investing in ways to make their own meals. According to AOL Finance the average cost per meal if you make it yourself is significantly lower at $1.50 to $3. Invest in a trucking-specific microwave, crockpot or refrigerator and watch the savings add up. Maintenance, maintenance, maintenance! Caring is repairing when it comes to taking care of your truck. Make sure it is in tip-top shape every time you make a drive. Take time at stops to inspect the source of any weird sounds or troublesome rattles. Oftentimes, a minor issue is the cause of a huge problem, so find and fix as much as you can. Doing so will save you thousands of dollars. You want to be saving money on the road, not breaking down on the side of it. If you run across an issue you don’t know how to repair, just ask another trucker. They’ve most likely experienced it and know a quick fix. Worst case scenario, consult YouTube. It might not be as reliable as another driver, but it will keep your truck running until you can get it back to the shop. You already have your CDL, why not put it to work for you? There are hundreds of places that will give you a CDL discount if you ask. Hotels are known for giving out discounts for truckers, but there are tons of other places that do as well. Insurance companies often have special rates or plans specifically for CDL drivers. Some places require the driver to know a certain code or have a specific document, so ask your fellow drivers in-person on online on a trucking forum. Tickets can add an unexpended expense to your route, so avoid getting them at all costs. Most, if not all, tickets come with an attached fine. The price of said fine depends on what you’re getting ticketed for and what state you’re in. Getting ticketed for a serious offense like driving under the influence or leaving the scene of an accident can result in the automatic loss of your CDL. Receiving several tickets in a short amount of time can also result in a suspension of your CDL. For specific information, check your CDL handbook. The standards for driving a commercial driver are higher than regular drivers – be extremely cautious on the road. You can’t save money as a truck driver if you’re not allowed to drive! WIFI is a trucker’s best friend. Many drivers are turning away from CB radio and instead turning to their phone and computer for interaction while on long hauls. Texting and calling are normally free with most cell phone plans, but internet data is something you’re going to have to pay extra for. Unless you have unlimited data, going over your internet limit means serious fees for most providers. Save money on the road by making sure your phone is using free WIFI as much as possible. WIFI is offered pretty much everywhere you go at this point, so it shouldn’t be hard to find. Some places offer internet but have it password protected. Don’t be afraid to ask for the password – the worst thing that could happen is you get told you can’t have access. With WIFI, you can browse the net or video call your family as much as possible without breaking the bank! If you’re a long-haul trucker, you may not be at home for weeks at a time. If you’re getting your bills sent to you house and aren’t there to pay them, you’re going to rack up some serious late fees. Setting up automatic bill pay or electronic bill pay is a great way to make sure you pay on time. Most companies offer automatic or electronic bill pay when you sign up. If you’re a long-time customer, you can easily switch your billing preferences in-person, online or over the phone. It’s a five-minute process that’s guaranteed to help you lower your trucking expenses by eliminating accidental fees. A great way for truck drivers to save money is by exercising. According to the New York Times, 86 percent of all truck drivers are overweight. In 2008, $149 billion dollars was spent treating obesity-related healthcare problems. Fighting obesity by staying healthy on the road will save you an unbelievable amount of money in prescriptions and medical bills. It’s not difficult to up your activity level, but it does take a continued effort. If you don’t have any workout ideas for yourself, check out YouTube. Drivers are constantly sharing trucking-specific workouts that don’t require a lot of equipment. Start out slow and work your way from there. Exercising is important to staying healthy, but if it is done incorrectly, you can risk a trip to the hospital. Gas is a huge expense for truck drivers – save it by using cruise control whenever possible. Using cruise control keeps your truck moving at a steady speed, therefore eliminating the need to constantly speed up or slow down to stay within the limit. Each time you adjust your speed manually, your truck has to work. Especially when it comes to slowing down. It takes a decent amount of gas to get a multi-thousand-pound hunk of steel moving after it has been brought to a stop. It also prevents you from accidentally going too fast, which is the biggest waste of fuel. Going too fast could also mean a ticket, which means a fee and possibly the loss of your CDL. Use cruise control and watch how much less you need to stop for a fuel up. When purchasing insurance, opt to pay for it yearly (or in full). It might be a commitment, but it will save you a hefty chunk of change. If you choose to pay your insurance quarterly or monthly, you will have to pay a familiar annual percentage rate, or APR. Let’s say insurance for your truck is $5,000 per year if you pay in full, $2,750 if you pay it quarterly and $500 if you pay it monthly. You’d be paying $500 more for the quarterly plan and $1,000 more if you chose to pay monthly. See why paying in full is important to saving money as a truck driver? Another tip for truck drivers looking to save money – make sure your taxes are done correctly, especially if you are an owner-operator. Keep your receipts so you can claim certain deductibles, such as supplies, meals and lodging. If you think you can handle tax duty on your own, download tax preparation software and have at it. If you’re not, consider hiring a professional. They pretty much pay for themselves in this industry. Here’s a great tip to save money – use your own containers. Purchase a large reusable water bottle or coffee canister online or get one from your local gas station. Some places offer a discount on drinks if you bring your own cup, so take advantage of that if it is an option! Bring plastic containers with lids so you can save all your leftovers from cooking in your truck. An added way to save money on the road – bring your own chips and snacks in resealable bags. Most areas have a bulk grocery store where you can buy snacks in extra-large servings. Take them back to your truck and place them in resealable bags or containers to keep them fresh. After you eat one bag’s worth, wash it out and use it to store something else. It reduces your waste and prevents you from buying snacks at every stop. 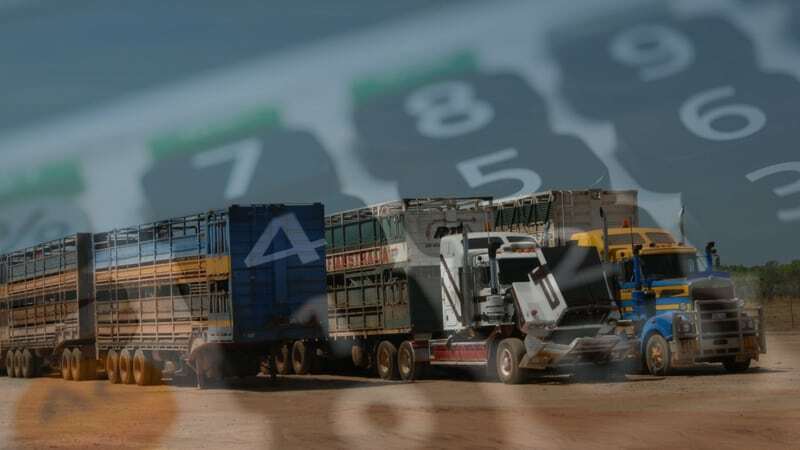 If you find yourself in a position where you need money for expenses but don’t get paid until you drop off your load, consider factoring your freight bills. By doing so, you’ll get paid in as little as 24 hours and won’t have to take out a loan. The money you receive from factoring can cover expenses, such as meals, and anything else you encounter on your trucking journey. Most factoring programs can offer fuel cards as well, which is a cost-effective way to fill up your tank. A money-conscious trucker will be concerned by any financial setback caused by an accident on the road. Therefore, some may want to consider reaching out to a law firm, like Tate Law Offices, to assist with coming to a settlement. All you need to do is decide what factoring company is best for you and your situation, give them a call or fill out a form and watch the money be deposited into your account. We can help you get started. Our factoring experts are ready to help boost your cash flow! Give us a call.